The Veterans Service Office will help you in identifying the necessary documents and paperwork you need as a veteran. 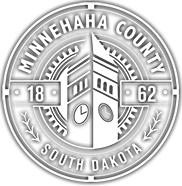 Veterans are encouraged to register their discharge information (DD Form 214, Report of Separation) with the Minnehaha County Registrar of Deeds. For veterans unable to come into the office because of a disability or health, the Veterans Service Officer will arrange a visit to the nursing home, hospital, etc. The Veterans Service Officer is available for presentations to build awareness of veteran benefits. Minnehaha is currently in the process of hiring a Veterans Service Officer; please contact our Human Services Office directly at 605-367-4217 and your call will be directed appropriately.